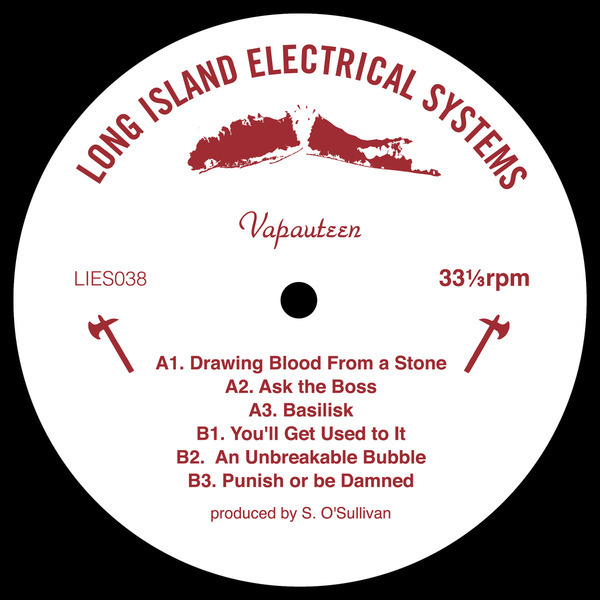 Shawn O'Sullivan (Civil Duty, Led Er Est, 400PPM) returns to L.I.E.S. with a grip of grubby, grinding machine workouts. 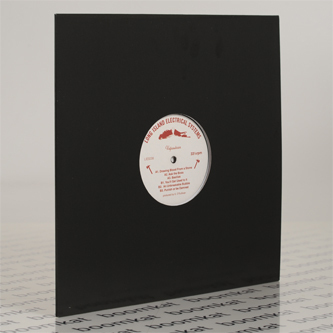 Up top slows his roll to a 100bpm industro-bashment bogle on three cuts, 'Drawing Blood From A Stone', 'Ask The Boss' and 'Basilisk'. Dung below, he rides with the nasty acid wine of 'You'll Get Used To It' plus the steam-powered chugger, 'An Unbreakable Bubble' and the druggy basement tilt of 'Punish or be Damned'.